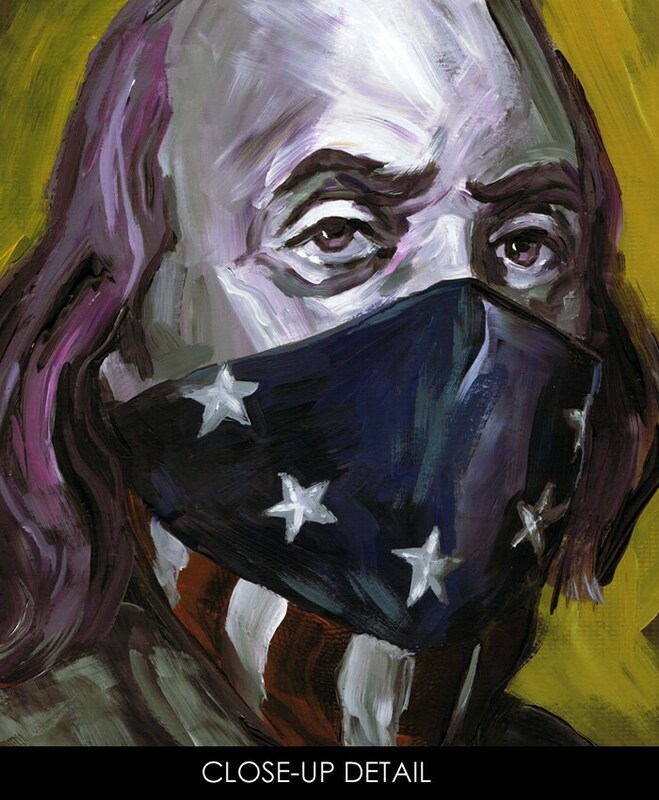 "Ben Franklin: Bad Boy for Life" art print by Rob Ozborne. From the "Totally Outlawed Americans" collection. 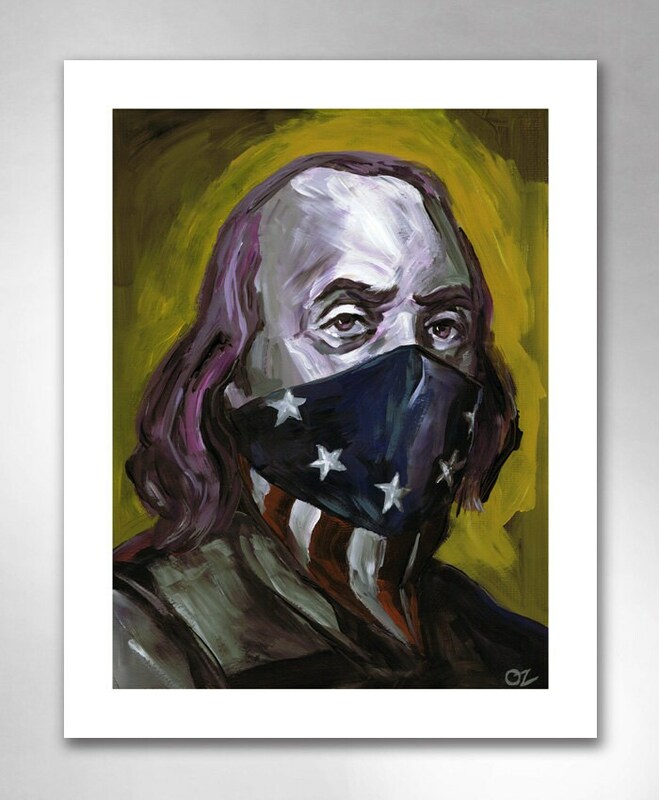 THE STORY: From the original portrait painting, this is the art print of Benjamin Franklin. He's declaring his independence. If being independent is bad, then he's a bad boy. For life.